The third season was probably the best season for both The Walking Dead and Fear the Walking Dead. With an understandably repetitive storyline of finding a safe town, which ends up not being so safe, they were able to make the characters in the partner series much more interesting. Not to mention, they develop much further than their fellow series’ counterparts. But with the new season of Fear the Walking Dead, they finally did something they originally said they would never do, crossover the 2 shows. How they did this is somewhat incredible. 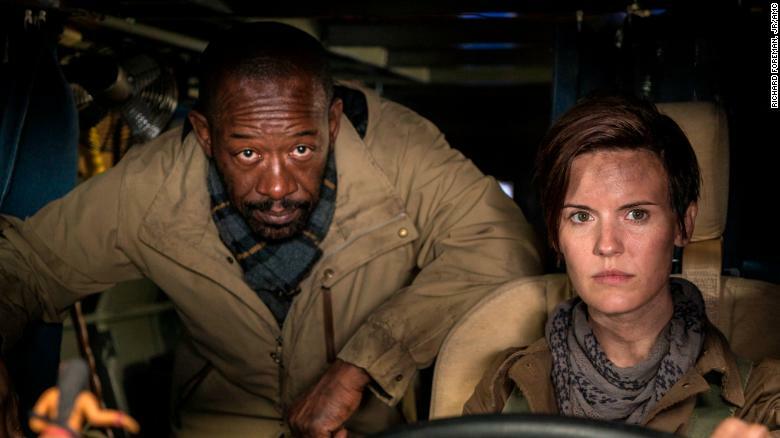 First, they bring in Morgan, one of the original characters from The Walking Dead, onto Fear the Walking Dead. Then they give him an interesting storyline which makes this his second best character arc yet. The premiere starts out with a surprising amount of guest stars from The Walking Dead lecturing Morgan to stay with them instead of leaving. Following his moral compass and leaving things behind that hurt him has been a consistent theme with his character, even if he loves what he is leaving. And with that, Morgan’s journey begins as he treks across the country looking for peace. At the beginning of his adventure, he encounters a lonely but interesting cowboy who is on his own journey looking for someone. This man named John is played by none other than Garrett Dillahunt who you might know from The Gifted, Raising Hope, and 12 Years a Slave. The man offers to befriend Morgan after being lonely, but Morgan seems to be having none of it. Naturally, he ignores Morgan’s wishes, continues to follow him, and asks him if he has seen the person he’s looking for. His character is rather interesting as it reminds me of a dedicated guard dog looking for his own, but attaching themselves to another nice person even if that person doesn’t want him. He goes on to protect and help Morgan multiple times. And like Morgan, he doesn’t like to kill unless he has too. Then the both of them encounter a group that introduces Althea, played by Maggie Grace (Taken). She ends up being a former journalist who happens to have a modified armored vehicle with some awesome weaponry on it. She goes on to ask the two about their story as if it was her journalistic duty to log the people surviving the apocalypse. As the three go on an adventure, they focus on these three characters since they’re the new series regulars for Fear the Walking Dead. Something interesting that they did was fast forward the timeline of Fear the Walking Dead to have it run at the same time as The Walking Dead. Another huge change is that the series now takes place in Texas, a similar yet stark contrast to the recent season set in Baja California. This allows new fans to jump right in without watching any of the first 3 seasons. The characters and backstory are familiar to old fans but this introduces them to a new generation of fans as well. The feel of the season 4 premiere makes it seems like an entirely new series spinoff. Again, using the characters from Fear the Walking Dead but somewhat ignoring the past three seasons. But the end of the episode offers a glimpse of what to expect introducing the original characters from Fear the Walking Dead to Morgan and the new characters. I really loved the last season of Fear the Walking Dead, so I was a bit unsure about this episode. You see what the plan is, but I’m also a bit hesitant about glossing over 2 years worth of story. The season 4 premiere as its own new show is both insightful and entertaining. With new interesting characters, a morally struggling familiar character, and past characters who seem to be different than before, you can bet that this will be the make-or-break season for Fear the Walking Dead. I’m sure looking forward to it. Fear the Walking Dead season 4 premieres on Sunday, April 15, 2018 at 10 PM ET/PT on AMC. You can catch the first 3 minutes of the season premiere below. 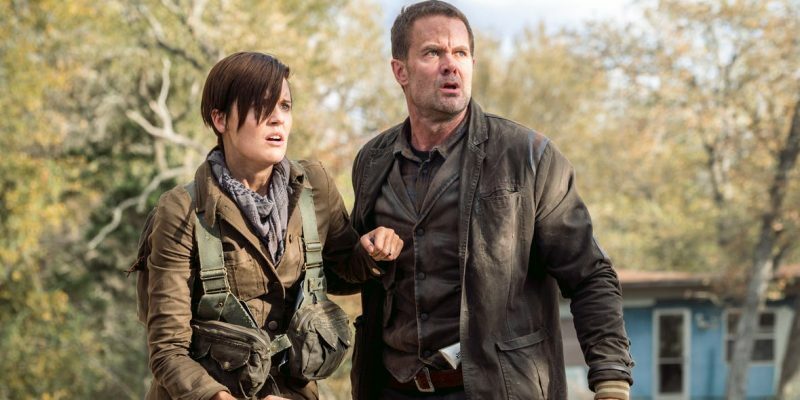 Fear the Walking Dead Episode 401 ‘What’s Your Story’ official synopsis: A lone traveler’s wearying journey is interrupted by new acquaintances, some who become friends, others who become foes. The post Review: Fear the Walking Dead Season 4 premiere appeared first on Nerd Reactor.